Started working in glass in 1975 in Colorado, and has been working in California for 31 years. 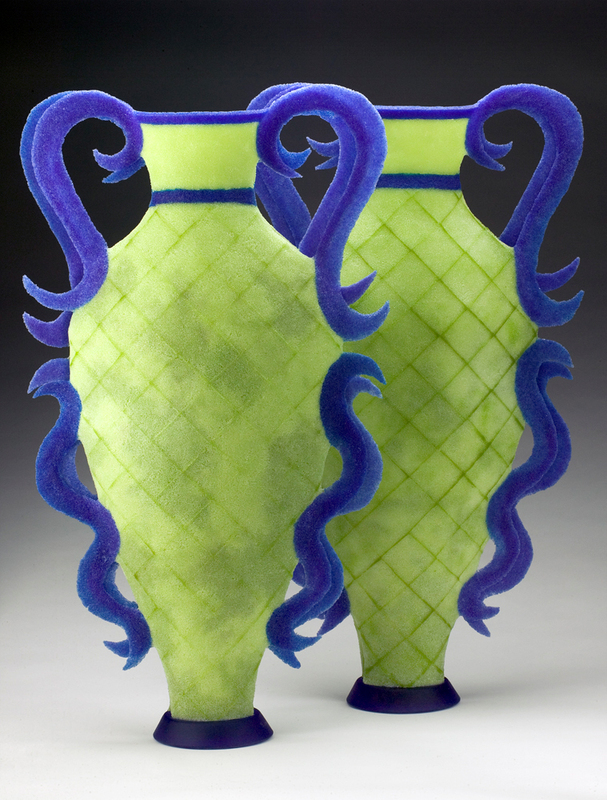 Susan J. Longini has been involved in the glass world for over 3 decades as studio artist, educator and administrator. Longini received her Bachelor of Fine Arts with a major in sculpture from the University of Michigan and did postgraduate work at San Jose State University and California College of the Arts under Marvin Lipofsky. She also attended the Pilchuck School in Washington for two summers and has studied under Paul Marioni, Barbara Vassen, Elbinus Elskus, and Narcissus Quagliata. From 1986 to 2003 she was Adjunct Professor and head of the Glass Program at Ohlone College in Fremont. In 2002 with Mary B. White, she co-chaired the California Glass Exchange, a 4-day conference for glass artists and university art students from all of California. As Executive Director of the Bay Area Glass Institute (BAGI), 2002-2004, Longini headed the buildout of the BAGI studio, including the hot shop, gift shop, gallery, and flameworking studio. During this time BAGI developed classes, lectures and demonstrations, master workshops, docent tours, mentorship and apprenticeship programs and gallery shows. 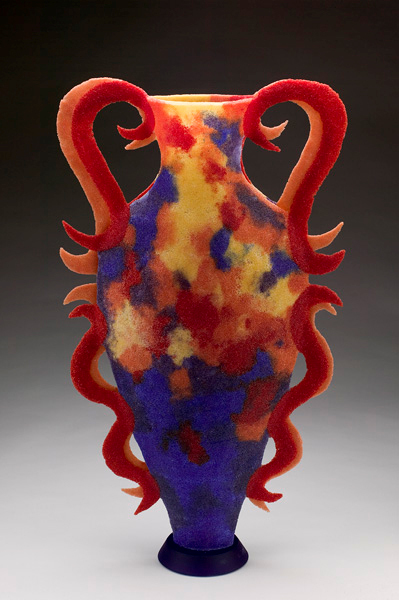 As an artist working in glass, Longini has exhibited throughout the United States. Her work is in public and private collections in the U.S., Europe, and Asia. She is a frequent lecturer, guest curator and juror. In addition to her career as a studio artist, she is President of the Glass Alliance of Northern California (GLANC), a nonprofit organization whose mission is to further education and appreciation of glass art. GLANC sponsors educational tours, lectures and shows relating to glass, publishes a quarterly newsletter and hosts a website with a comprehensive glass calendar of events. She served on the City of Fremont Art Review Board from 2000 to 2010, in charge of awarding artists grants for Art in Public Places projects.